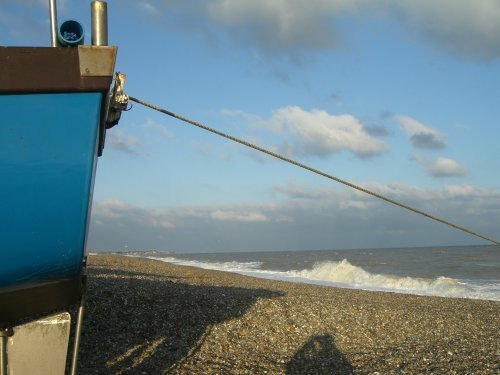 Monday 17 June 2013 Aldeburgh Festival Grimes on the Beach... Tim Albery directs an outdoor realisation of Peter Grimes that places the audience directly in its setting – on the beach... The same musical team as the concerts will perform with the singers amplified and the orchestra recorded from the earlier Festival concerts... Please note this performance is outdoors, uncovered and most of the audience will be seated on the beach. There will be limited bench seating... In the event of severe weather, the performance may have to be postponed to the following evening... Bench seating £75 Sitting on the shingle £50, £40, £20 - from 2013 Aldeburgh Festival brochure. Can a public beach legally be made temporarily private and a charge made for access? Is there not a 'right to roam' on Aldeburgh beach? Surely some of the BPF's £6.5 million budget for these centenary celebrations could have been spent making this at least considerably cheaper. Instead maybe we should convene on the beach at a more fitting time of the year under our sou'westers with an iPod. Gavin, you are perfectly correct. The pricing is outrageous, and remember this is basically a recorded performance. And then there is the question of how with "the orchestra recorded from the earlier Festival concerts" the voices are going to be removed from the concert performance at which the recorded orchestral track is being captured. Or will they remain in case the wind off the North Sea is too strong for the amplified voives on the beach? Hi guys. For your information an entirely new recording of the orchestra alone will be specially recorded and the singers WILL be singing live!